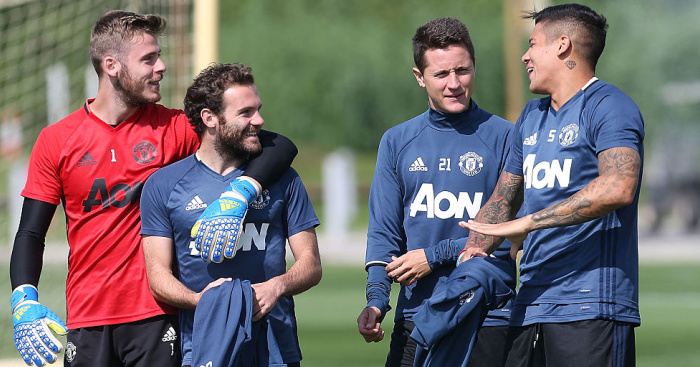 Manchester United midfielder Scott McTominay has demanded his team do more, after Barcelona beat them 1-0. 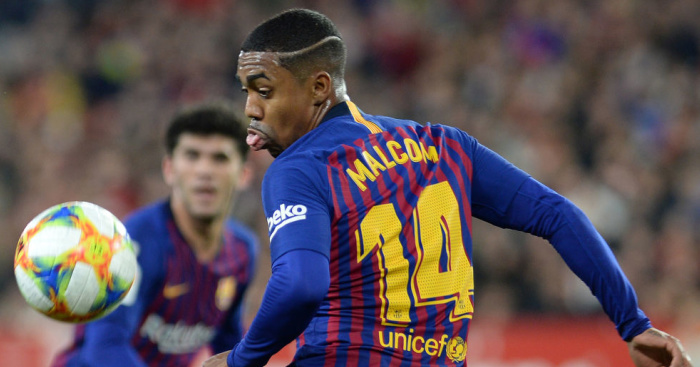 The win, which was Barcelona’s first ever at Old Trafford, gives them an one-goal advantage to take back to the Camp Nou for the second leg of this quarter-final next week. Luke Shaw’s own goal in the first half was the difference between the teams on the night, and while Ole Gunnar Solskjaer’s men had to weather Barcelona pressure at times, they grew into the game and dominated it at times. 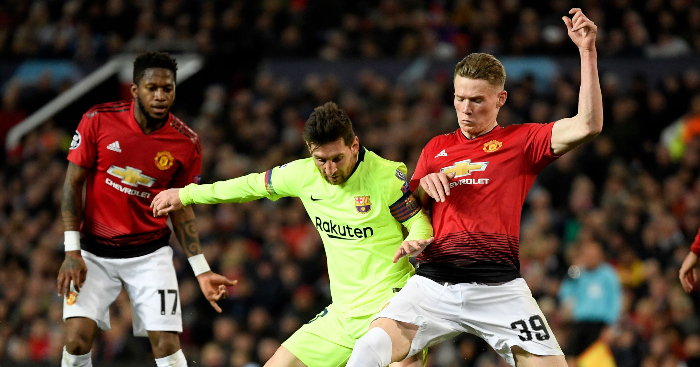 McTominay had a good game in midfield alongside Fred, and the pair of them kept Lionel Messi quiet. The Argentinian had an off-colour night after getting clattered early on by Chris Smalling. “In the first 10 minutes we showed them far too much respect but after that, we adapted really well and looked the better side,” said McTominay, speaking to BT Sport after the match. Manchester United were unable to convert their good spells into meaningful chances. 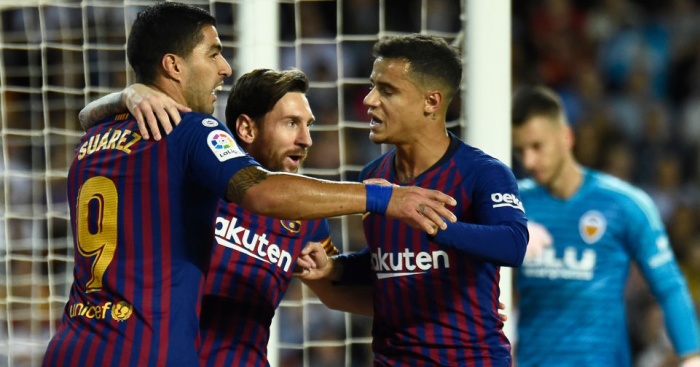 Marc Andre Ter Stegen didn’t have a single save to make, as Gerard Pique put in a good display at the back to deny Manchester United any shots on goal. “We pressed them high and made it difficult. It’s a shame we couldn’t get the goal. 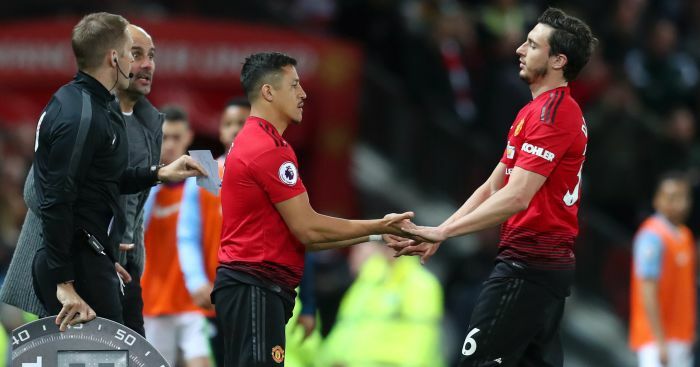 I thought we created some good chances,” said Smalling, speaking alongside McTominay to the TV cameras.